Andrew Robertson has insisted that Liverpool are not showing signs of nervousness in the Premier League title race after dropping points in back to back games against Leicester City and West Ham. Jurgen Klopp’s men have allowed defending champions Manchester City to cut their lead at the summit of the Premier League table to just three points in recent weeks. 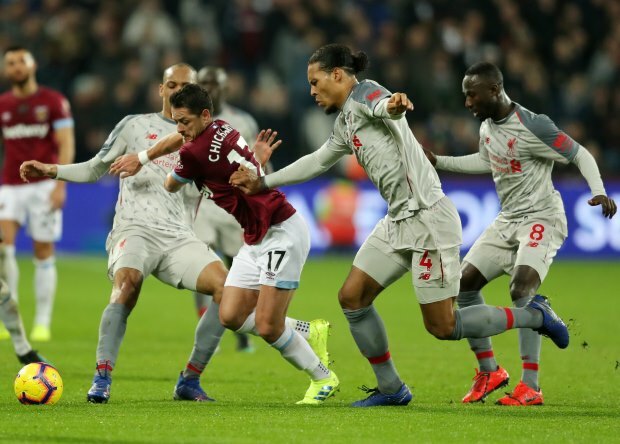 Liverpool followed up their 1-1 draw at Anfield against Leicester with another draw at the London Stadium on Monday to provide a shot in the arm to their rivals in the title race. Despite hitting a blip, Robertson insisted the Liverpool dressing room have yet to show signs of the nerves getting to them. And the 24-year-old urged the fans and all keeping a close eye on Liverpool to relax, especially considering many other clubs in the division would want to be in their place at the moment. “I wouldn’t say nerves are showing. Did anyone say that when City dropped points against Palace and Leicester? I don’t think they did”, Robertson told the club’s official website. “It’s no different for us. "People talk about pressure because we’ve not been in this position but it’s February. Robertson also reiterated that it was just two poor results from two poor performances rather than a case of Livepool wilting under the pressure from Manchester City. “Nerves aren’t showing in the changing room, it’s been two poor results and poor performances. It happens during a long season. “We might look back on it as a good point, but we don’t know that right now. Robertson, who recently penned a long-term contract with Liverpool, has registered seven assists from 29 appearances in the Premier League and Champions League so far this season.